A group of organisations specialising in every aspect of the digital revolution. We create awesome products, events and services using real language, real expectations and real-world user-centric design. This means you get what you expect from us – every time. We are the digital champions of Warrington. This is a Warrington Agency. As experts in producing engaging digital, online and offline products for the likes of the BBC, Monster, Manchester Metropolitan University International, Eureka! Museum, MoneySupermarket and Barclays we know engaging services. Specialising in crafting solutions for all four screens; mobile, web, tablet and TV – we put the audience at the centre of everything we do and put you at the heart of the product. We can take all of this with our events management function and provide consultancy services for a more hands-on solution. As the founders of WAcreative, the networking group bringing together the best of Warrington’s creative scene we specialise in hosting compelling events that challenge the way you think about creative digital products. These events are as general or as specific as you like. They can be tailored to your business or representative of the wider creative industry. And – all of our general networking events are free. And always will be. We exist to champion the very best of the creative industries in the town. A not-for-profit arm established to promote the very best of products built in and around Warrington. 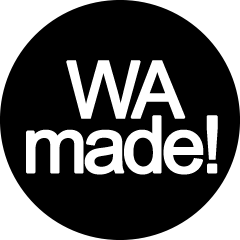 We encourage the use of the ‘made in WArrington’ brand to demonstrate the breadth and quality of the services we build here. We work with organisations to promote digital literacy at every level, from early stage education through to established local government and business. We are WA Creative: A group for anyone working in the creative industries in and around Warrington. Whether you're studying, freelancing, working professionally or just interested, get involved in developing the creative, digital and arts industries in the town. You can expect a very informal event with a couple of presentations and the opportunity to meet people working in your industry over a drink - or some hot cheesy nacho's!